The A970 just comes to a dead stop about 3 km north of here (behind the camera), at Isbister. Looking south, for the next ten miles or so it is "single track with passing places", but there is so little traffic that it is hardly a problem. 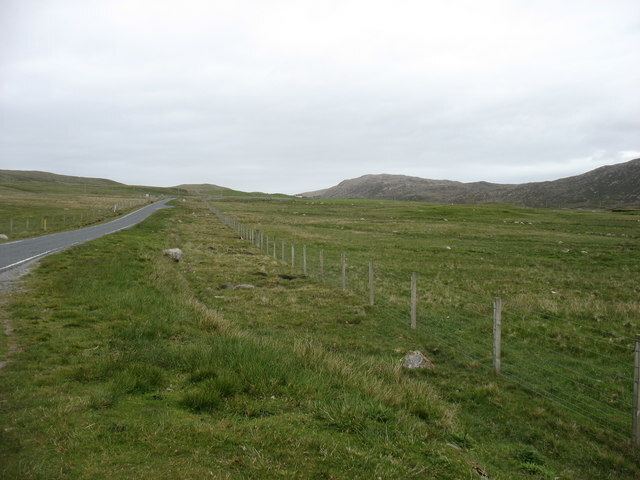 After that, and all the way to Sumburgh HU4009, 80km away, it is a splendid road, upgraded (like other main routes on the Shetland Islands) when the oil money was at its peak.